Runners love to celebrate completing a race, whether they've just completed their first 5K or are running a marathon in every state. And with all the effort and dedication that goes into an event, we think they deserve to. 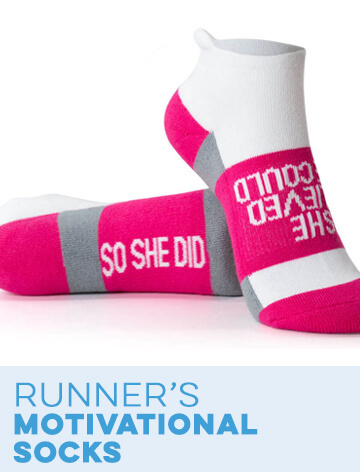 Our race distance gifts for runners are a fitting way to congratulate a friend on their accomplishment or to reward yourself for reaching an important running goal. If you're in search of gifts for ultramarathon, half-marathon, 10K or any other race distance, you will find them at Gone For a Run. 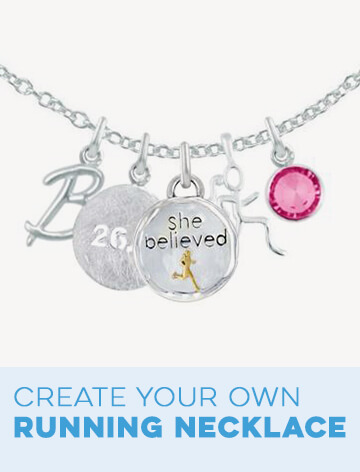 We have fun and practical gifts that will help you relive those magical races time and again. 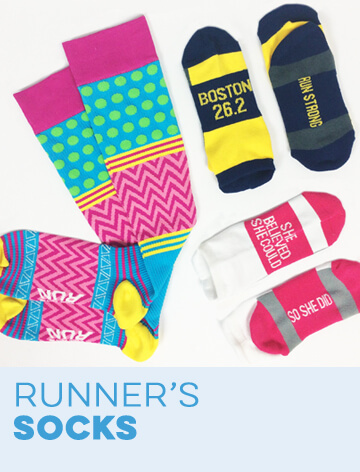 Our distance gifts for runners will fit any lifestyle, budget and taste. 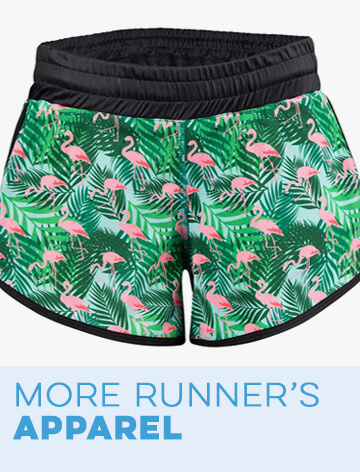 Your friends can show off a running achievement every time they go out for a run in men's or women's performance running shirts, tank tops, shorts and compression socks. 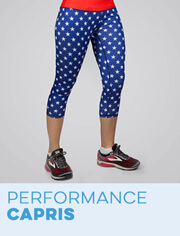 You can also find casual wear such as marathon flannel pants and 5K flip flops. Accessorize the home with race distance pillows, pint glasses and cutting boards, or accessorize yourself with a gorgeous runner's necklace or bracelet. 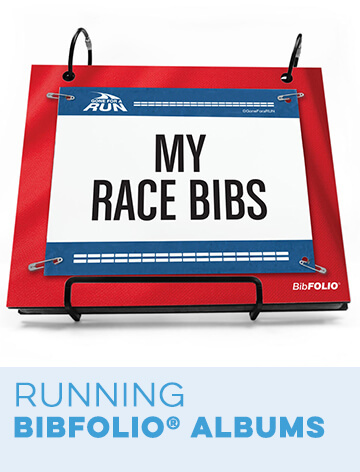 If someone wants to display their race keepsakes, give them a race medal stand, running bib frame or other trophy display that's customized to their event. 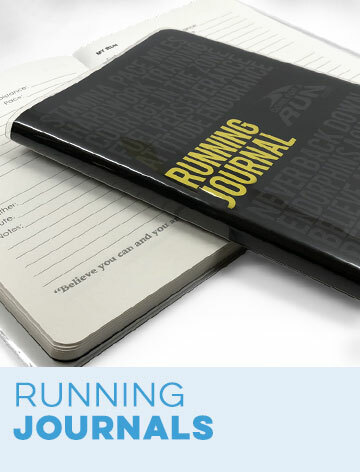 In fact, many distance running gifts can be customized, including car decals and coffee mugs. Our team has run plenty of distance races, and we believe there's no better way to honor that feat than with gifts tailored to the occasion. 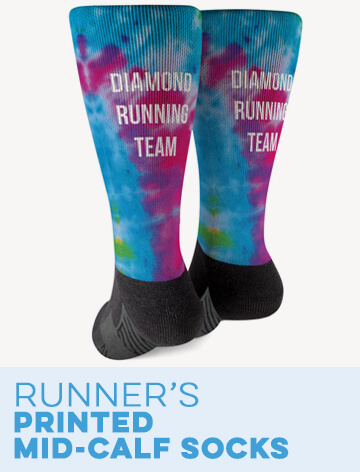 From Christmas ornaments to beach towels, we have a running gift for your distance, and we even have them for historic events in major cities such as New York and Chicago. 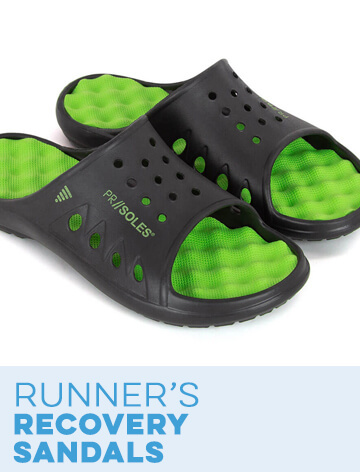 We don't just carry major running distance gifts either – you'll find gifts for triathlon and cross county, and our virtual races come with cool swag while also supporting important charities. 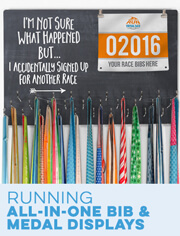 Shop by race distance to find something for any runner or contact us to ask about gifts for other distances.